Marketing cars online is now very much the norm and as our recent article “used cars online – finding or buying?” showed there are now so many places on the web where you can go to find your next car that it’s difficult to know where to start. As we’ve said before, the more high quality images and detailed description a car has the far greater chance it has of being sold quickly but in this ever growing marketplace how does one used car listing site stand out from the others? 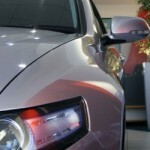 Why are Autotrader, eBay and yahoo cars the most popular? From a sellers point of view it’s pretty simple – audience figures. Advertising your car on one of these sites means your ad can be seen by a potential audience of millions and so vastly improves your chances of selling. Sites like these don’t have to work too hard to stay at the top; the sheer momentum of their massive user base keeps them there. But why are they so popular with buyers? After all it’s a bit of a catch 22; if they didn’t have so many visitors they wouldn’t be able to market so many cars and sell ads to so many dealers. So the fact that these sites are so popular must be down to the simple fact that people trust them, have been using them for years and they are a huge brand which everyone has heard of. Now I guess it would be easy for sites like this to rest upon their laurels and take their market dominance for granted. I mean take the Autotrader site for example; it certainly hasn’t changed much recently despite all the new innovations and maybe it doesn’t have to. Users know what they are going to get from them and their strength really is their enormous database and the staggering amount of vehicles for sale. But let’s take a closer look at the user experience. I may have a particular used car in mind that I want to buy or I may just want a new car, what criteria can I search for? Well basically it’s makemodel vehicle attributes and stylefeature and that’s about it. They may have a third of a million cars available for me to browse but unless I’ve done my homework I will be lost in page after page of used cars. 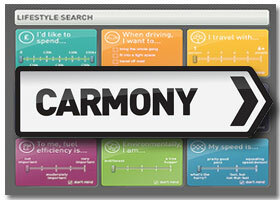 Carmony.co.uk offers three ways to find a car in their database; speed, model and lifestyle. This is where the main difference with their site can be seen as with a “lifestyle” search users will be encouraged to search for a car based on their needs and priorities. This wraps up research and search into one user friendly bundle and should give Carmony the “one stop shop” appeal. There is also a simple “green score” rating for each vehicle based on its carbon emissions and its effect on the environment and pricing information on running costs taking into account service charges, tax payments and even daily fuel costs, adding to the information on each car. Carmony believe that “cost of ownership” is a top priority for consumers and that theirs is the only site to offer consumers official pricing information on running costs. A large amount of research has clearly been carried out and Carmony themselves believe that a great deal of consumers do not have the time or the passion to sit and read car magazines but as they still spend a great deal of time behind a wheel they want to find a car which best suits their needs. The research carried out on behalf of Carmony pointed out the fear that many consumers relate to the process of finding and buying a car and that car buyers are looking at new ways to purchase their next vehicle and are demanding more “transparent information”. Everything from fluctuating fuel prices, increased car tax and a greater concern for the environment is changing the nature of the information motorists want when buying a new or used car. Cost of ownership is a top priority and Carmony state theirs is the only site to offer consumers official pricing information on running costs, taking into account service charges, tax payments and even daily fuel costs. Carmony and AllApprovedCars will run as completely separate sites and from an end users point of view there will be no obvious connection. For dealers the sites will run in tandem so a car listed on AllApprovedCars will automatically appear in Carmony search results. Dealers will have the option of listing on just one of the sites and Manheim anticipate that more cars will ultimately be listed on Carmony than on AllApprovedCars. 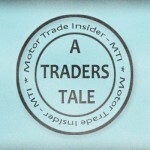 If a customer has a part-exchange then they can contact the dealer via the website. After all this is just another way of re-marketing “dealer approved” used stock but one fly in the ointment, that may affect all the major stock listing sites in the long run, is what seems to be a change in marketing strategy by many of the big dealer groups. They are now waking up to the fact that ‘Google is king’ and marketing departments are being tasked with running their own PPC (pay per click) campaigns. They are becoming skilled in the art of search engine optimisation (SEO) and getting their own websites first on all the major search engines pages for their chosen keywords. They are also ensuring that any information, special deals and offers are right up to date, in order that they not only encourage more people to click on to them but ultimately to stay longer, make contact with the dealer and hopefully, of course buy a car. It is certain that most dealers no longer consider newspaper advertising as part of their future and are throwing a large part of their marketing spend into this kind of advertising. Not only it is much cheaper but it’s an awful lot more effective. Although most sales departments are great at selling cars, laser focussed marketing is an alien concept to them, so don’t be surprised in future if some dealers employ people to exclusively develop their on-line effectiveness and assist in selling many more new and used cars. The Carmony site is still in beta form so expect a few bugs here and there but it does seem they may be onto something with the idea and it certainly seems well thought out with a fresh look that will definitely appeal to the more internet savvy user. It’s a crowded market to say the least but the “lifestyle search” and transparent information about the cars listed may be just what gives Carmony the edge, for now. 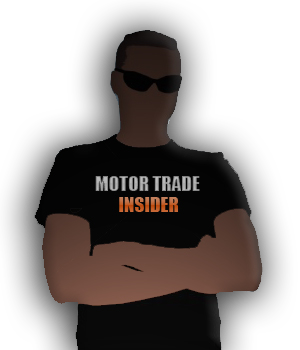 Autotrader v Autotrader – what’s in a name? The future for car dealer marketing? 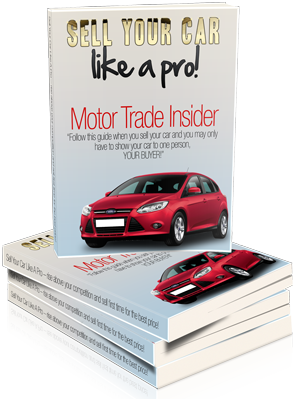 When is autotrader not autotrader? Will all cars one day be sold this way?